Christian Pezzuto grew up in Michigan City, Indiana, where he attended Marquette Catholic High School and played soccer, basketball, and baseball. He then continued his education at Purdue University where he majored in Industrial Management with a minor in Economics. While at Purdue, he was an active member of Sigma Chi fraternity and graduated with his bachelor’s degree in 1999. After leaving Purdue, he attended Chicago-Kent College of Law. While at Chicago-Kent, he was a legal writing teaching assistant during which he learned to be an avid researcher. Moreover, he received the CALI award for the highest grade in several courses including Legal Drafting and Alternative Dispute Resolution. Upon the completion of his first year of law school, he was selected for a judicial externship for the Honorable William J. Hibbler of the United States District Court for the Northern District of Illinois. At the conclusion of his second year, he worked for the United States Securities and Exchange Commission. In 2003, Mr. Pezzuto graduated from Chicago-Kent College of Law with Highest Honors and was inducted into the Order of the Coif, a national legal honor society whose membership is only eligible to those graduating in the top 10 percent of their respective law school classes. 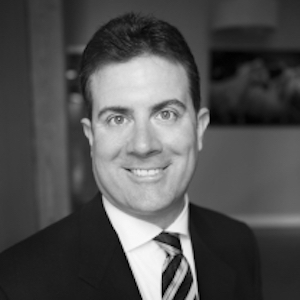 Upon graduation, Mr. Pezzuto obtained his real estate broker license and was a family law attorney for multiple years. For the past nine years, he has served as president of a 624-unit condominium association, located in Chicago’s Gold Coast, where he has led the association to eight consecutive years of no assessment increase. Prior to joining Compass in 2018, Mr. Pezzuto successfully owned his own real estate business from 2003 through 2016 where he was Managing Broker for Pezzuto Realty, LLC and is the owner of multi-family apartment investments.. In his free time, he enjoys watching his Purdue Boilermakers, as well as fellow Purdue Sigma Chi Drew Brees play for the New Orleans Saints, and all the Chicago sports teams, especially the World Series Champion Chicago Cubs, exploring Chicago’s many activities, and “attempting” to work-out on a regular basis. Mr. Pezzuto continues to be a licensed attorney in the State of Illinois.